Ever wondered how high can a drone fly? Or what are the highest flying drones? We’ve got an answer for you. Acquiring and using a drone has become easier than ever before because they are becoming cheaper by the day. The day is close when altitude mode will become a standard feature on every drone because low end drones receive features comparable to high end drones. You have come to the right place if you are looking on purchasing a drone and you want a drone that can reach high altitude. The urge of drone enthusiasts to know the drone that can reach the maximum altitude is a sure thing. Many people confuse max flying altitude with maximum control range, but these features are not the same at all. To help you, we decided to compile a list, in no particular order, of the top 10 drones that can reach big heights. In the list down below, you’ll find how high you can fly your drone. You will also find some of the highest flying and max altitude drones currently available on the market. looks incredibly beautiful and you should definitely consider option for this drone if, in addition to high altitude, look is another feature you want in your drone. The drone’s maximum height is about 80 meters. This height is almost at the point which renders your drone hardly visible. The drone uses a nice 7.4V 1200mAh Li-Po battery. The flight time is about 10 minutes per charging. Among other standard features, the Ionic Stratus Drone is equipped with a 6-axis stabilization system and packs in 1-button 3D roll. If you are thinking of showing off your pilot’s skills in front of your friends or family, these features are always nice things to have. Sadly, this drone does not come with a dedicated camera. 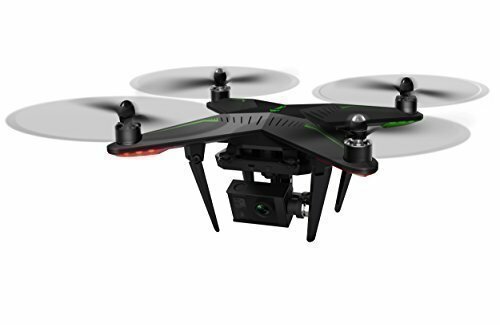 However, it is compatible with most modern day action cameras that can easily attach to the drone’s main body via a compatible stabilization gimbal. As far as color goes, this drone is only available in silver. It also has 2 black and 2 white propellers. The Traxxas Aton is another drone that looks absolutely amazing. This drone has top speed of above 50 mph and it is considered as a proper racing drone. When it comes to maximum altitude, the Aton is able to go up to around 120 meters. The drone is equipped with a powerful 11.1V 5000mAh Li-Po 3S battery and has a flight time of about 20 minutes. The Traxxas Aton does not come with a built-in camera. However, it has fixed camera mount that supports external cameras and it can capture amazing aerial footage. 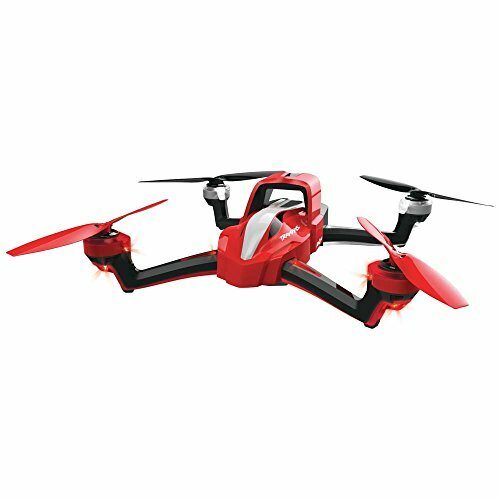 The Aton is above average in size and weight and as far as color goes, this drone has amazing black and red color scheme. This is the Traxxas Aton in this video we will be going over what is in the box and the different flight modes. 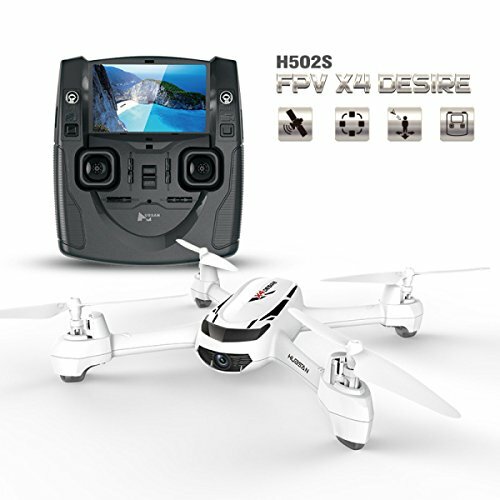 The Hubsan H502 is a nice entry level drone that has many amazing features. When it comes to its specifications, the H502 can reach up to 150 meters of height. It is very important to note that US laws have banned drone flight over 120 meters, so flying this high can be a dangerous activity. The drone is powered by a nice 7.4V 610mAh Li-Po battery that has a flight time of about 13 minutes. The H502 is also equipped with a 720p camera that is able to record decent quality videos. This camera is also able to provide you with FPV. However, your FPV experience may not be the best with a pretty rough 4-inch screen and 640 x 480 resolution. The H502S can be flown up to 300 meters away from you using solely a remote control for operation. On top of all this, the H502S also has some very useful features, such as Return-to-Home, GPS system, Headless Mode and Follow-Me-Function. 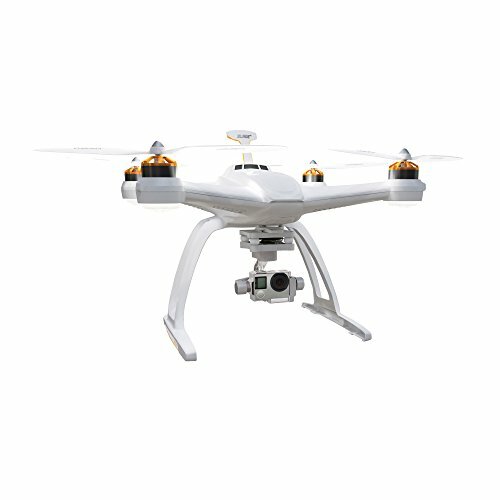 The Hubsan H502S is a very beautiful drone and as far as color goes, it is only available in white. The Xiro Xplorer Aerial v is a very beautiful drone that can go up to 600 meters in the air. It is important to note that if there is no interference this number can go a bit higher. However, this should be avoided in urban areas because these sorts of heights can be really dangerous. The drone is equipped with a full HD FPV camera that is mounted on a 3-axis gimbal. This feature will do wonders for your images and videos. In addition to that, it comes with a powerful battery that can endure around 25 minutes of flight. As far as color goes, this drone is available only in black. Overview of the ZerUAV Xirodrone Xplorer camera drone. I show you the features of this new drone to the market from the long established ZeroUAV company. The Autel Robotics X-Star Premium is a high quality drone that can reach distances up to 2000 meters without any sort of lagging. The built-in camera on this drone, with 12MP of resolution, is able to shoot very high quality photos. Also, the X-Star Premium’s 4K resolution is ideal for capturing professional-level video. The X-Star Premium is one of the best highest flying drones and it is able to go at least 1000 meters high. It is important to note that the manufacturer hasn’t made a software restriction on the maximum flying height of this drone. The drone uses a powerful 14.8V 4900mAh Li-Po battery. The flight time is around 25 minutes per charging. This drone weighs 1420 grams and it is one of the heavier on the market. The X-Star Premium is also above average in size, with a wingspan of 352mm. It is recommended to purchase the bundled option which gets you many accessories for it for more affordable price than if you were to purchase them all separately. AS far as color goes, the X-Star Premium is available in white and orange. Autel Robotics X Star Premium Review - Great UAV! The DJI Phantom 3 can go up to 6000 meters in the air and it is considered to be one of the best highest flying drones. However, it is important to note that distance is determined by the operating range, which is 2,000 meters for this drone so this isn’t the actual height above the ground you can fly. Also, the Phantom 3 has been software restricted to only 500 meters, but there are people who are able to bypass these restrictions. But flying over 500 meters is considered extremely dangerous because the drone could crash into a plane or your drone could fall down and hurt or kill someone. The package includes the drone, controller, 4K camera, spare battery and Hard-Shell Backpack. The Phantom 3 sports a large battery capacity (4480mAh) and has a flight time of about 23 minutes. The built-in 12MP camera on the Phantom 3 Professional is able to shoot very high quality photos and the 4K resolution is perfect for recording professional-level video. 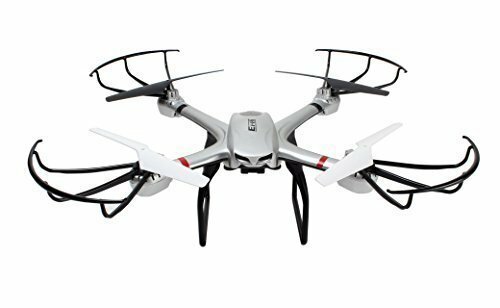 This drone is above average in size and weight and as far as color goes, it is only available in white. Hands-On with DJI's Phantom 3 Professional Quadcopter Drone! The DJI Phantom 4 can fly up to 6,000 meters above sea level. However, that distance is determined by the operating range, which is 5,000 meters for this drone so this isn’t the actual height above the ground you can fly. The Phantom 4 also has the software restriction that disables it from flying higher than 500 meters above sea level. In theory, these restrictions are possible to bypass. However, so far no one was able to do so. 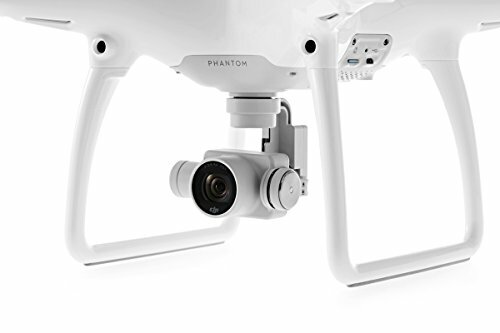 The Phantom 4 is equipped with an amazing 4K UHD camera that is mounted on top of motorized gimbal. 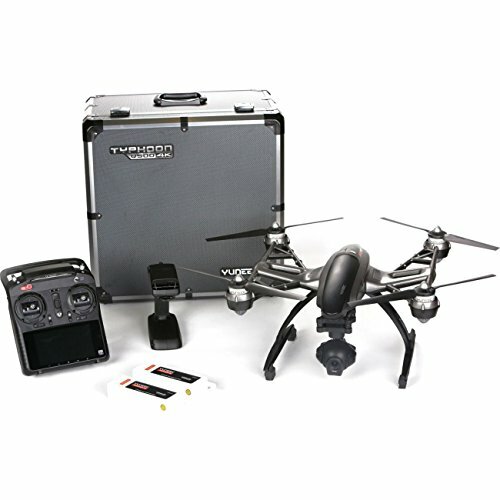 This feature allows you to get a perfectly smooth and stabilized aerial video and very high quality images. The drone uses a powerful 15.2V 5350mAh Li-Po battery. The flight time is about 28 minutes per charging. The drone weighs 1380 grams and it is one of the heavier drones on the market. The Phantom 4 is also above average in size, with a wingspan of 350 mm. 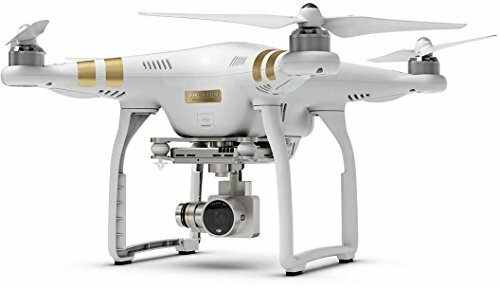 The Phantom 4 is also one of the more expensive drones available on the market today and it is the most expensive drone on this list. As far as color goes, this drone is only available in white. The Yuneec Q500 Typhon 4K can go up to 1000 meters, which is really amazing feature. However, it is important to note that distance is determined by the operating range, which is 800 meters for the Yuneec Q500 Typhoon 4K so this isn’t the actual height above the ground you can fly. The Q500 is one of the slowest drones out there and has a maximum speed of 18 mph. The drone is equipped with a high-quality 4K camera mounted on its 3-axis gimbal. With 12MP of resolution, the camera is able to capture very high quality images. Also, the Q500’s 4K resolution is perfect for recording professional-level video. However, it excels at shooting 120FPS slow motion footage. The drone is powered by a powerful 11.1V 5400mAh Li-Po 3S and has a flight time of about 25 minutes. As far as color goes, the Q500 is only available in black. comes with a lot of amazing and useful features. It has a powerful battery that can endure around 25 minutes of flight. The drone is equipped with one of the highest-resolution cameras available (12 MP) and can provide high-level video for many purposes. At a maximum speed of 40 mph, this drone is slightly faster than the average drones. However, the most interesting feature for you is the height range. You will be very happy to find out that the Chroma can fly up to 300 meters above sea level. This drone is above average in size and it is also one of the heavier drones on the market. As far as color goes, the Blade Chroma is only available in white. 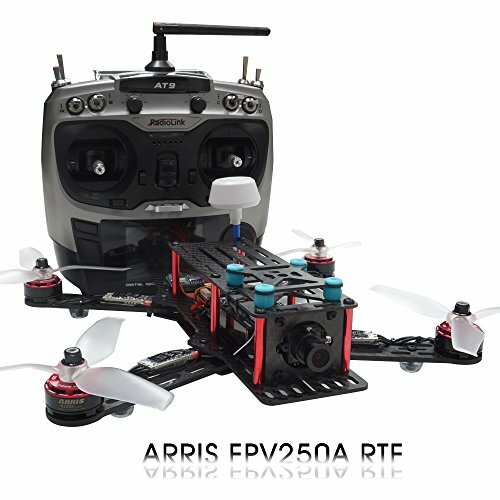 The Arris FPV250 is the perfect drone for those people who are looking for a nice high flying racing drone. 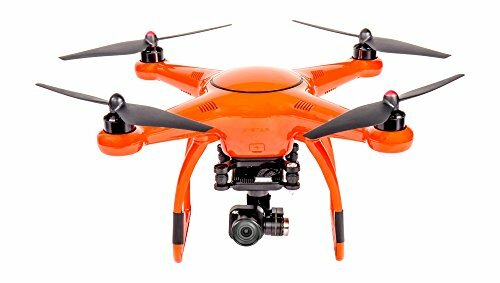 This drone is not overall highest flying drone and it is priced slightly above average for a drone (about $300). However, it packs quite the performance and it is definitely one of the best high flying drones in this price range. The Arris FPV250 can reach up to 250 meters of height and it is powered by a powerful 11.1V 2200mAh Li-Po 3S battery. It is able to fly for about 10 minutes on a fully charged battery. The drone is above average in weight and has a sturdy frame. As far as color goes, the Arris F250 is only available in black with 4 cool looking green blades. You have come to the end of this Top 10 Drones That Can Reach High Altitudes List and I hope that it helped you make up your mind. I truly hope that this article was interesting and informative and that you got yourself a nice drone for those sky-high flights. It is very important to note that if you don’t want to end up paying a huge fine due to flying your drone on dangerous heights, you should check your country’s UAV regulations.